A gloss black trunk emblem will give your rear end a much more aggressive look. This trunk emblem will compliment your other black trim pieces perfectly. 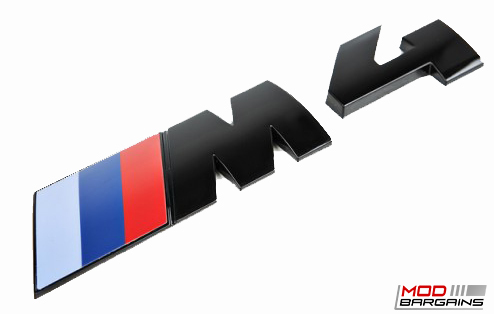 Stand out from the rest of the stock M4's with this gloss black emblem. 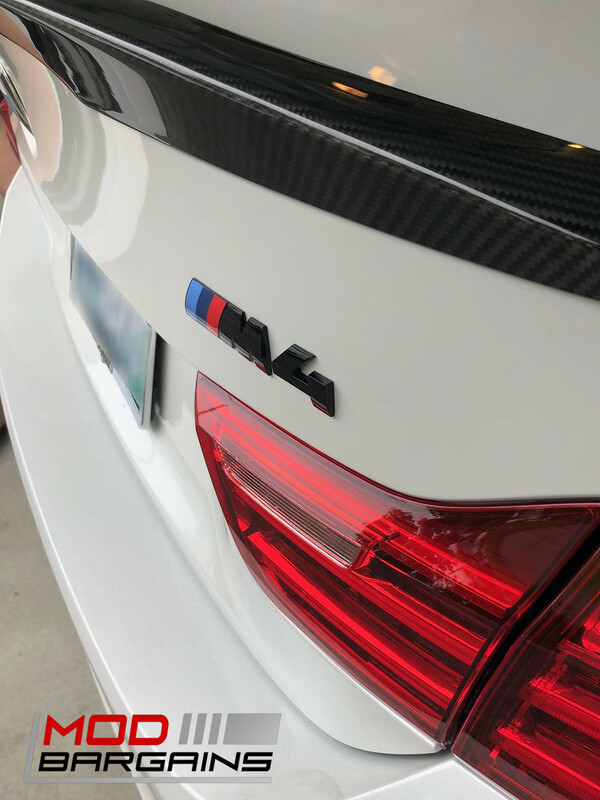 Give your BMW F82 M4 a much more aggressive appearance with this gloss black trunk emblem as available on the competition package F82 M4. A genuine OEM part means you will have a perfect fitment, and you won't have to worry about any deficiencies. This gloss black emblem will definitely compliment your other, or any future, black trim pieces perfectly as well as any carbon fiber.